Cogs of The Machine Mod is still in a development state. You may experience errors or unexpected behaviors. Use it at your own risk. This is a tech mod that adds new machines and tools using mechanical energy. Cogwheels are the base of your power transmission. They can be made of various material and have different properties. They can be placed in the world on the side of a solid block and will connect to nearby cogwheels. The maximum speed it can run. A cogwheel can never turn faster than its max speed and will slow down the entire mechanism if it’s faster. The speed loss per cogwheel. Each cogwheel you add will slow down the entire mechanism by this number for each one. The speed loss can be nullified if you can run the mechanism faster than the maximum speed. The simplest cogwheel. It has a maximum speed of 40 rpm and a speed loss of 1.5 rpm. A more advanced cogwheel. It requires iron plates you can make at the foundry. It has a maximum speed of 70 rpm and a speed loss of 1.2 rpm. Brass ingots and plates need to be made in a foundry. It has a maximum speed of 120 rpm and a speed loss of 0.5 rpm. Sometimes, you don’t want to have solid blocks everywhere. Rods can be placed on either a solid block or another rod, and you can place cogwheels on top of them. You can improve some cogwheels by adding extensions to them. These cogwheels have special properties. You cannot place two special cogwheels on the same block. They can be activated by right-clicking or by giving a redstone signal. 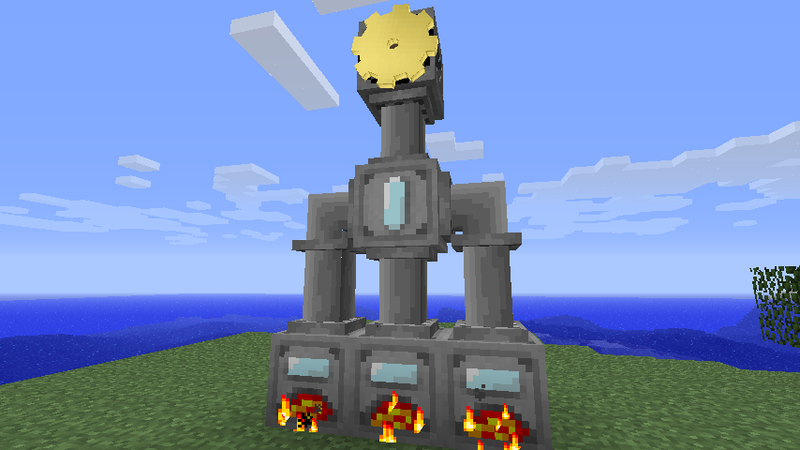 When not powered by redstone, they will work like a normal cogwheel. When they received a redstone signal, they will stop the entire mechanism. Flipping the lever will reverse this behavior. They will send a redstone signal to every block around but only if the cogwheel is spinning. The crank is the easiest way of producing energy but it’s not an automated one. Right-clicking a cogwheel will makes it turn at a maximum of 40 rpm. Shift-Right-Clicking will do the same thing but in the opposite direction. The crank will take damage each time. It can also break cogwheels faster. 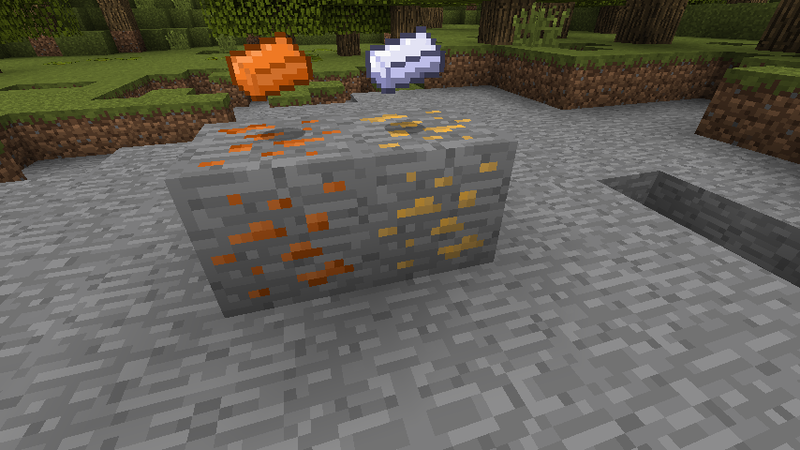 The mod adds two new ores in the world during generation, copper and zinc. The simplest way to make your cogwheels turn automatically. The pendulum will output 30 rpm. The direction of the output can be changed by right-clicking with a crank. 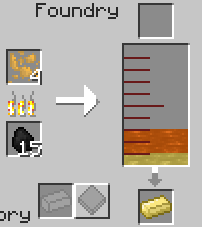 Breaking an ore block will give you 1-3 fragments of that ore. Each fragment can be smelted into an ingot. Breaking a wood log will give you 4-5 planks. Breaking planks will give you 2-3 sticks. Breaking wool will give you 3-4 strings. 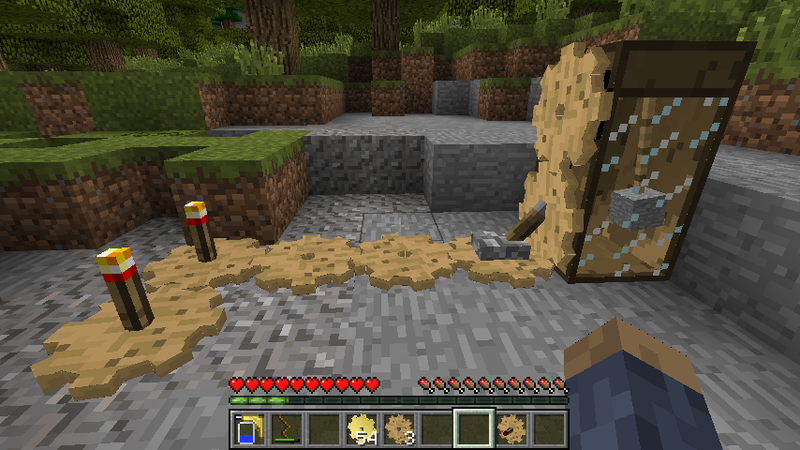 Breaking cobblestone will give you 3-4 rocks. Rocks can be thrown and deal 1 heart of damage. To make the pounder work, simply attach a cogwheel on it and make it turn. The speed of the pounder depends of the speed of the cogwheel attached to it. The foundry can do lots of stuff. 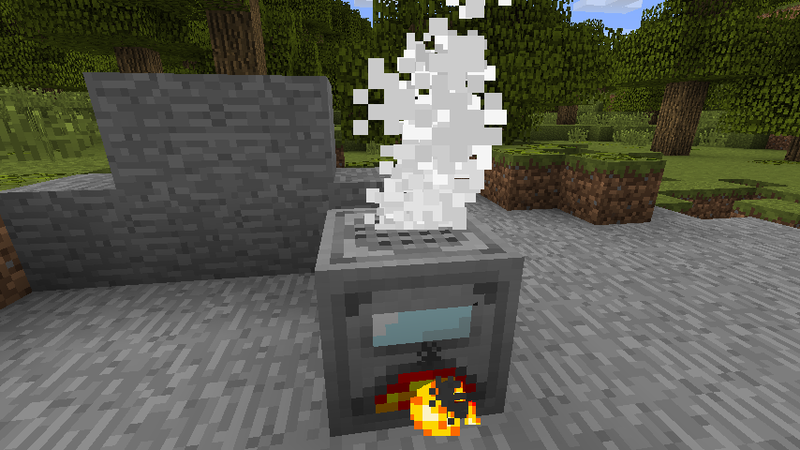 It can smelt ores faster than a furnace, make alloys, cast metals into ingots or plates, and others. The left slots are the input and fuel. 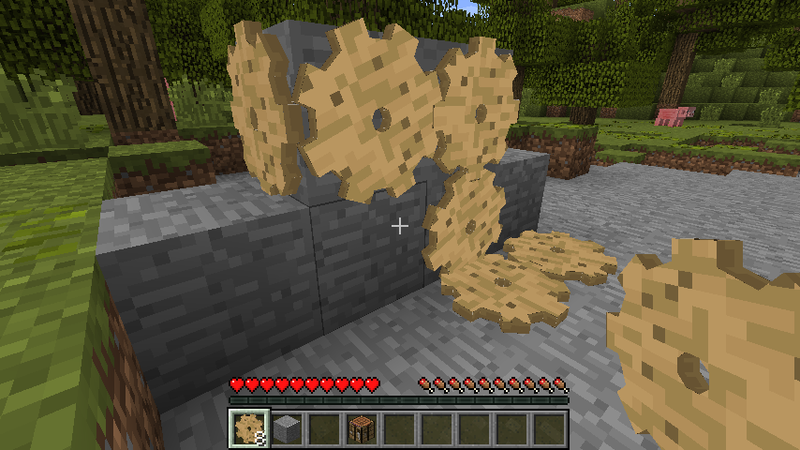 When smelted, the ore will appear in the right container. It can hold ten ingots worth of molten ore. The buttons are the cast mode. You can click on them to decide if you want ingots, plates or no casting at all. One plate is worth half an ingot. You can create brass by smelting copper and zinc in the foundry. 3 copper and 1 zinc will give you 2 brass. The slot on the top is the dip slot. 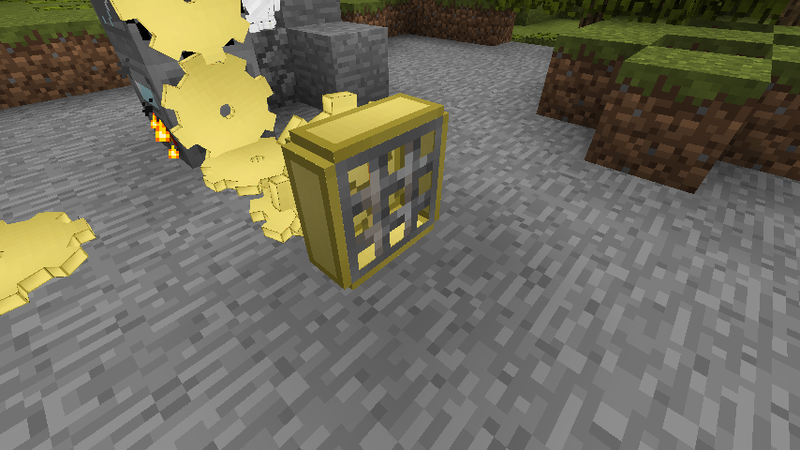 If the foundry contains zinc, placing an iron ingot in this slot will turn it into a galvanized iron ingot. One half-ingot of zinc will be consumed in the process. The pendulum is nice but it’s not gonna be fast enough to properly power all you machine. That’s where steam power comes in. 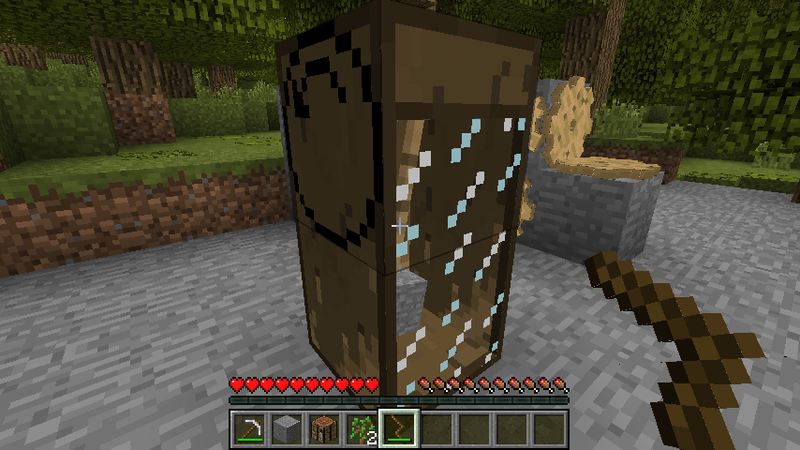 Place 4 galvanized iron ingots and glass in a crafting table to get a steam container. The steam container can hold 2500 units of steam. It can be refilled in a steam generator and can be used in a steam motor to produce energy. Then make the steam generator like this. The steam generator requires water and fuel to work. It has a slot for liquid input and one to fill a steam container. If there is nothing over it, the steam will be sent in the air and wasted. 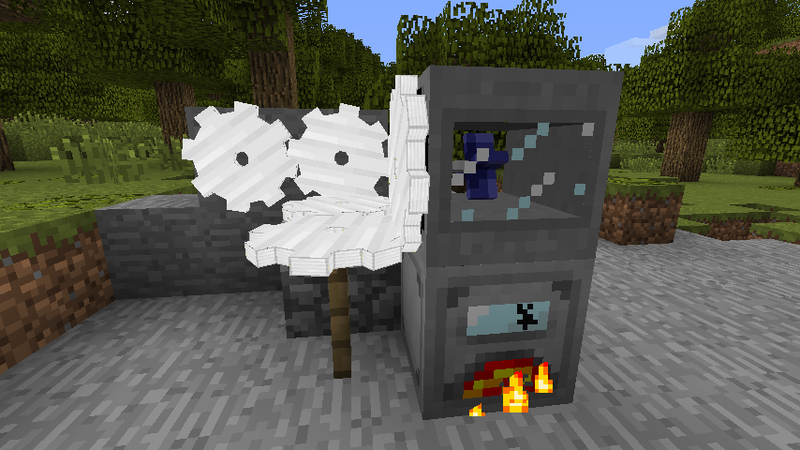 To avoid that, you need to have either a steam container to fill in the slot or put a machine using steam on top of it. The steam generator will produce 1 unit of steam per tick. You can make galvanized iron tubes with two galvanized iron ingots. You can then make the steam motor. The steam motor will produce mechanical energy out of steam. It can output up to 180 rpm and use steam every tick. One steam unit gives 60 rpm. The output will be reduced depending on the cogwheels attached to it. The steam pipe can distribute steam from machines to others. Two steam pipes cannot cross each other. You can change what the pipe is connected to by right-clicking with a crank. The pipes can be used to connect multiple steam generator to a steam motor, or to a tank. The folding ruler is a simple tool that will allow you to measure distances. Simply right-click two blocks and it will give you the distance between those blocks. 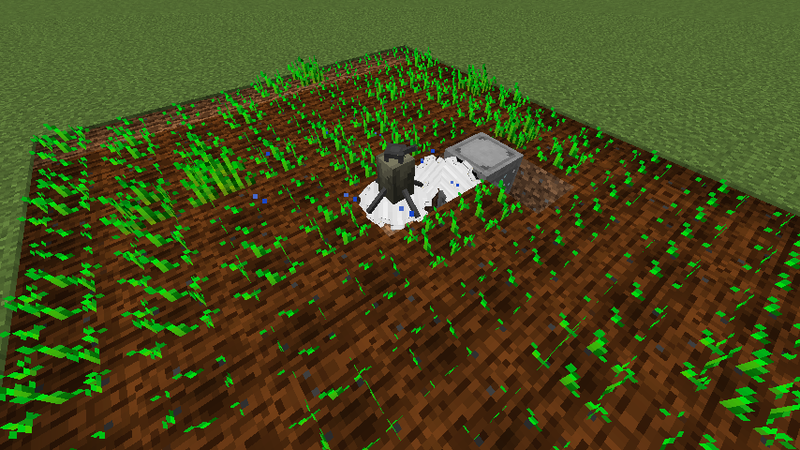 The sprinkler will keep an area of crops hydrated. It requires water and mechanical energy. The size of the area will change depending of the speed of the cogwheel up to a maximum of 7×7. It will also speed up the growth of plants in the area. 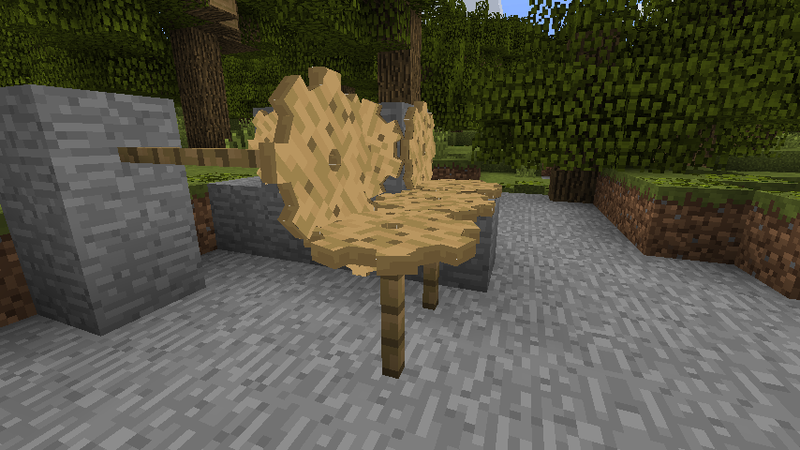 The ServoTable is an advanced crafting table used for the more complex craft. It requires mechanical energy to perform the crafting once a recipe has been put. The clockwork cane is an advanced crank. It works the same as a wooden crank except it provides 60 rpm and never breaks. The liquid drainer is basically a bucket that contains ten times the amount of a normal bucket. When holding this item, the right-clicking of any block is deactivated. Right-clicking on a liquid will gather it into the drainer. 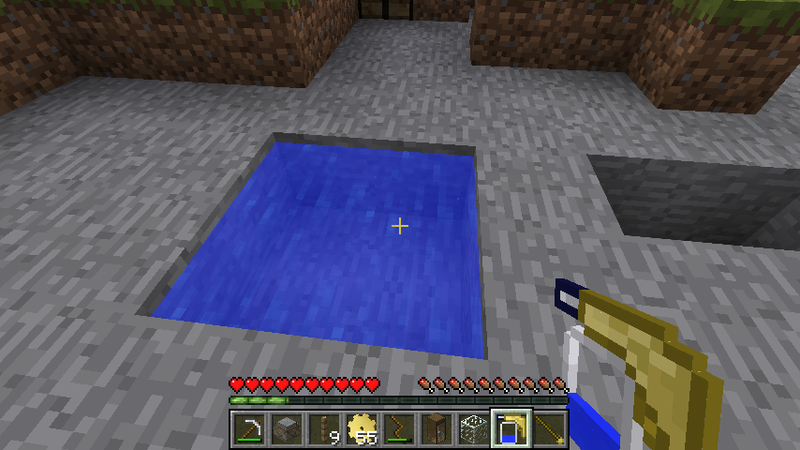 If it contains a liquid right-clicking a block will drop the contained liquid in the world if possible. Shift-right-clicking will only gather liquid and not drop them. The drainer will also work with any tank compatible with the Liquid API. Right-clicking a tank will attempt to fill the tank with the content of the drainer. Shift-right-clicking will attempt to drain liquid from the tank. It works the same way as a waterproof pipe connected to the block clicked. It can contains any kind of liquid but only one type of liquid at once. 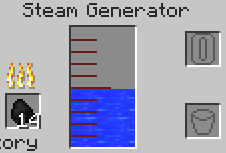 The Liquid Drainer cannot be placed on a input or output slot in a tank’s GUI due to limitation of the Liquid API. When connected to a cogwheel, the fan will push or pull entities in front of it depending of the direction of the cogwheel. It has a range of 8 blocks. The mechanical saw will damage every living entity touching it when powered by mechanical energy. The damage depends on the speed of the cogwheel. Giving a redstone signal will extend the saw one block longer. This will break the block in front if it’s made of wood. Put Cogs of The Machine Mod zip file into your /.minecraft/mods folder. Do not unzip it.